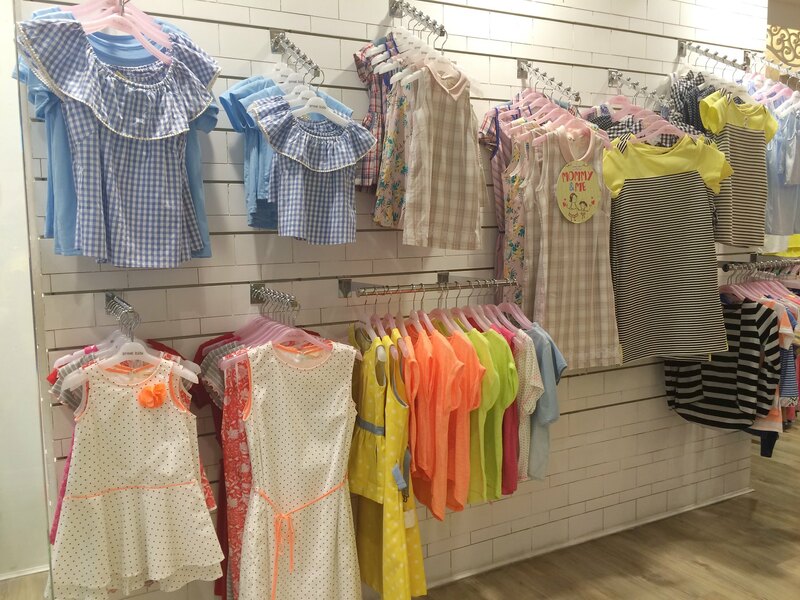 Feature| Great Kids Dresses: Cute Timeless Pieces That Will Make Your Little Lass Happy! One Saturday afternoon, I said to my little lass: "We're going to go out and get you a new dress." She smiled widely and nodded her head while her eyes squinted in delight. Sunday morning, and she excitedly reminds me that we were going to get her a dress. 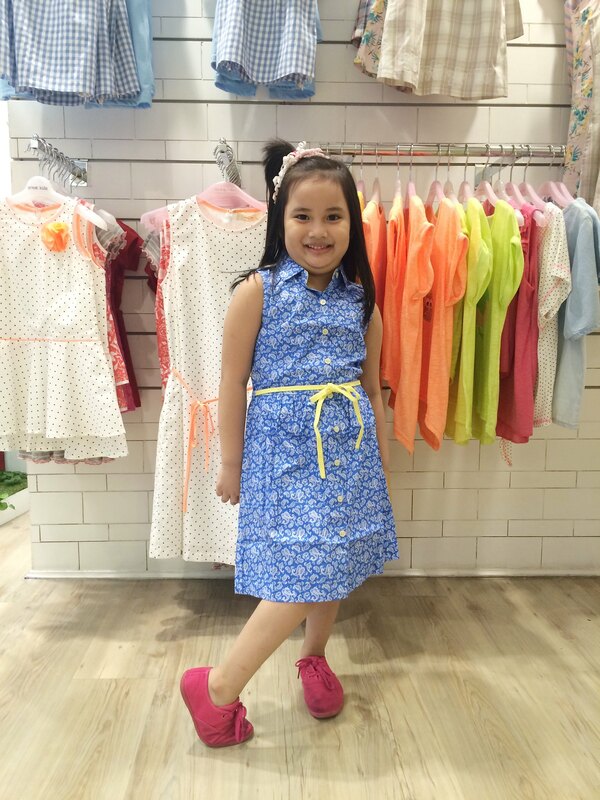 I usually let her choose what she wants to buy from a store and gratefully she chooses something I like too. 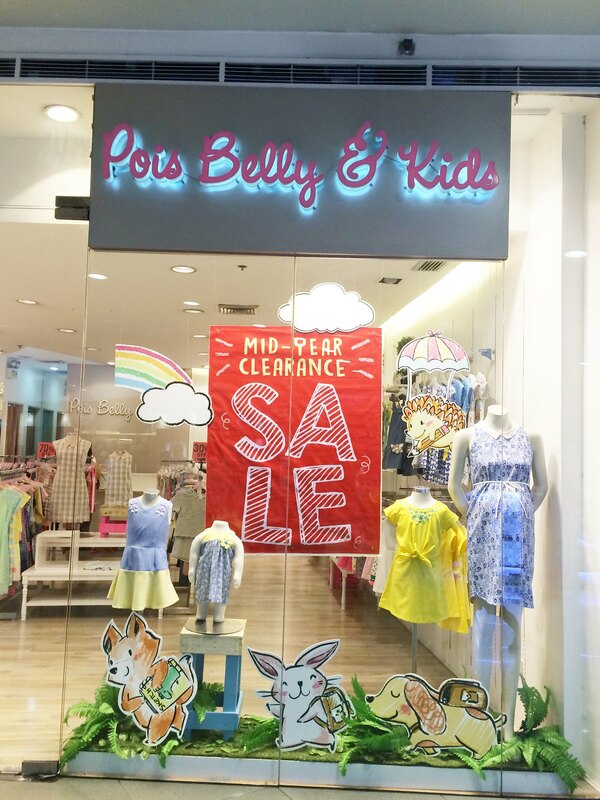 I was happy that we were going to take a trip to Pois Belly and Kids where you can buy the Great Kids Philippines line. I knew that we both wouldn't be having a hard time to agree on a dress. Upon entering the store my little lass smiled widely and with a quick scan she immediately pointed towards a pink dress. I got a little nervous since she is a little taller for a 5 year old and we usually have trouble with dress sizes. 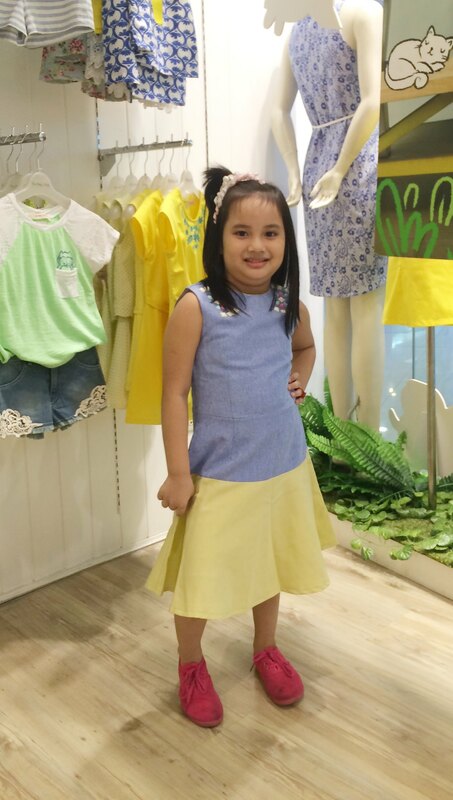 I was happy to know that Great Kids PH had sizes ranging from Infants to young girls sizes (0-10 year old). 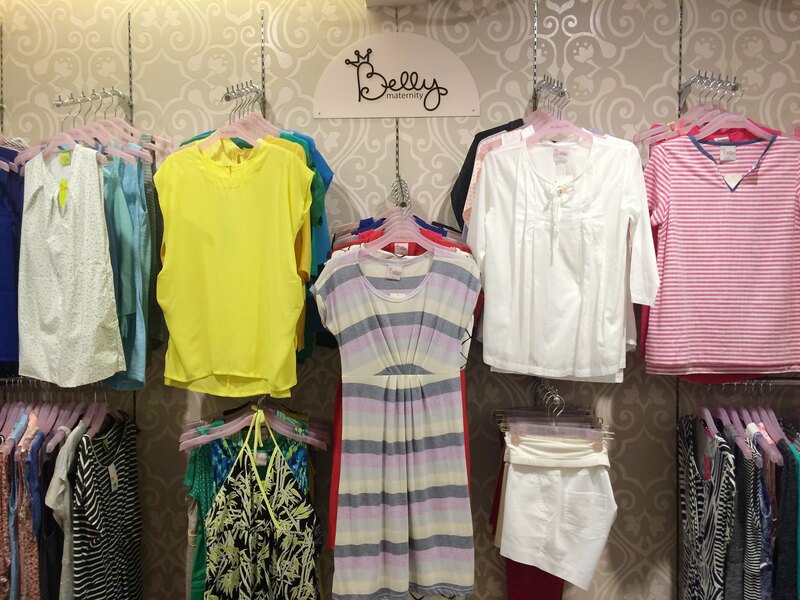 While she looked around for more pretty dresses to try, I took a peak at their Infant collection (which was soooo cute), the maternity wear and the Mommy & Me collection which is to die for - I am going back for those matchy t-shirts which only costs 250Php for the daughter and 450Php for the mom! 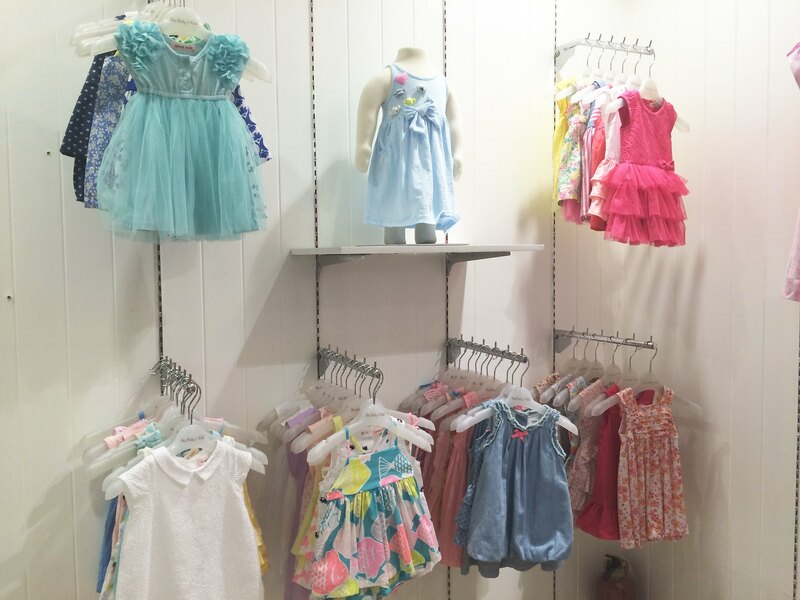 Looks at those cute colors and cuts from the Mommy & Me collection. I'm going back for those bright colored t-shirts! 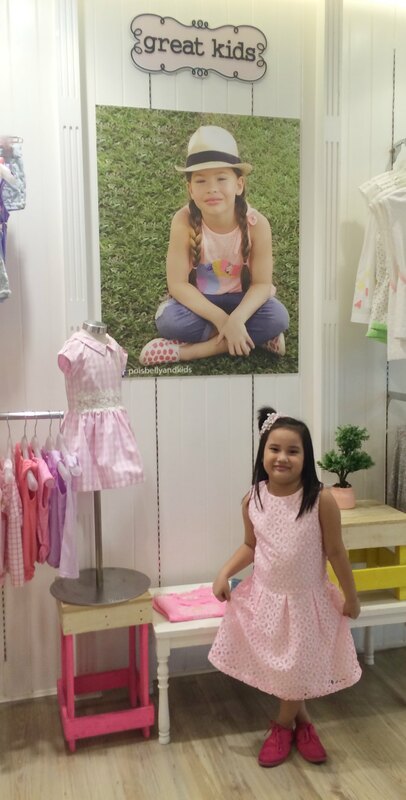 We chose 3 for her to fit and she happily modeled them for her Papa and the store attendants. My favorite was definitely the blue sleeveless with the yellow belt, so simple but the pattern was bright enough to make her look pretty and fresh. Being the mum I am, I asked her to choose which one she would prefer and guess which one she did? Tadaaaa... of course the dainty pink dress with the embossed flower design. She has always been a fan of pink things just like me hihi. The dress was wrapped into a paperbag and she thanked Diane and Charlene who assisted her, and me for taking her to the store. Thank you Great Kids PH and Mommy Bloggers Philippines for the invite! Visit their Facebook Page for more info and promos here. Go get that pretty dress for you and your princess today! 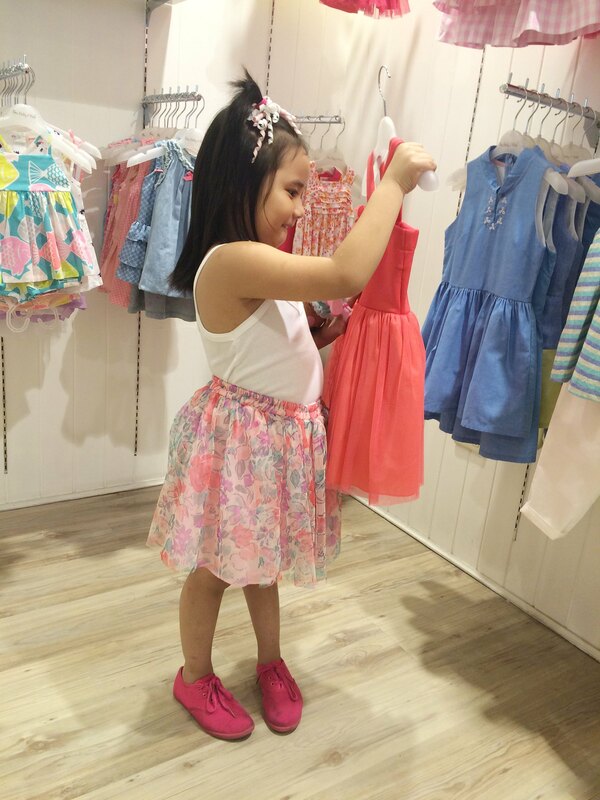 Pag girl talaga ang anak natin there's a lot of cute and beautiful dresses kahit saan ka magpunta. But if your kid is baby boy or a boy nakoooo, sumasakit ang ulo ko. heheh! Aww, gorgeous lil girl! I want those mom and daughter matchy-matchy dresses too! Buti na lang girl ang first ko, sarap bihisan! It's like you have your very own life size doll. Too bad, my kid is a boy. :) By any chance, do they have apparels for boys? Wow! They have pretty designs! I love their concept.Can't wait to try pretty little dresses with my little girlie! Mom and daughter goals hehe. Yeah hehe the pink bought her lol. Lovely pink dress! Now you make me wish I have a daughter, too, so we could go shopping together. Your daughter is growing up as pretty as you, or let me say, she will be prettier than you haha. Sige Lani, pwede na rin haha. I love the style of blue dress but I know how girls love color Pink. I am addicted to Pink as well too. I'm glad she's very happy with her new dress. Super happy sis hehe. Yeah, I have a thing for pink too. I love the blue one on her! My favorite, though, is the bejeweled one. I like them simple but highlighted. I was secretly hoping she would pink the blue. Lol. 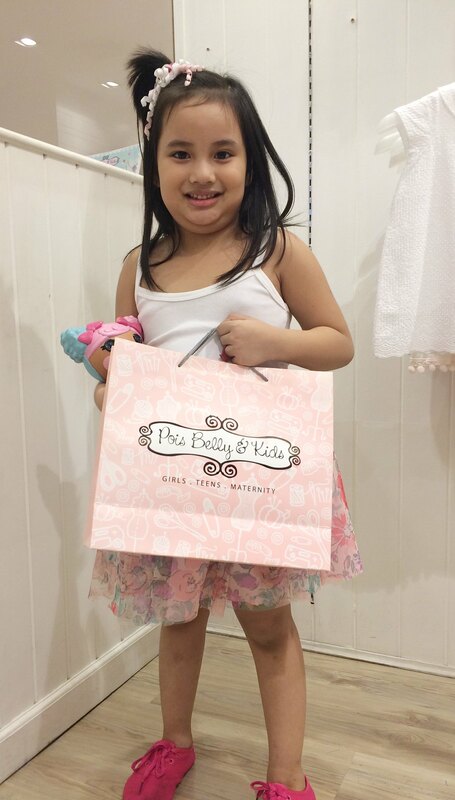 your daughter is so cute and looks like she enjoyed shopping ! My daughter and I never did a matching dress thing. I wish we had at least once. It's good to give your child choices to help empower them.